Google Slides - presenter view (Q & A for audience) plus a laser pointer! 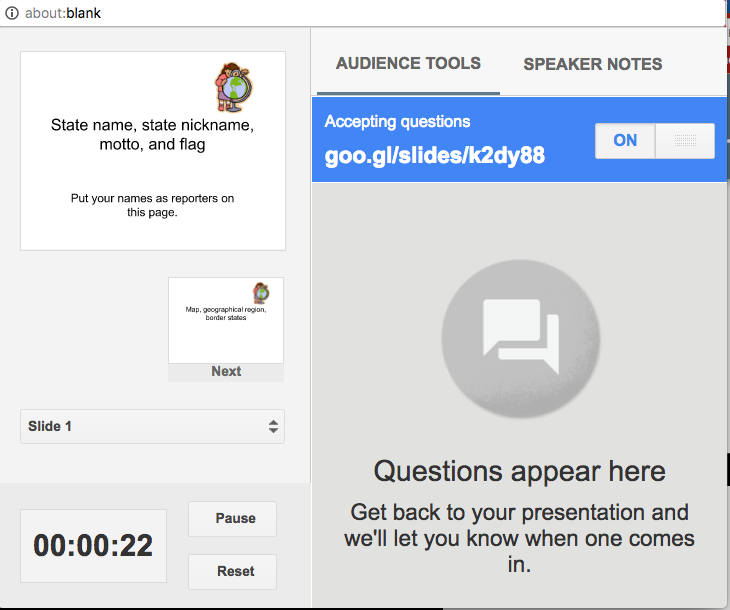 Google Slides has the ability for the presenter to allow questions to be asked during their presentation (if they choose). Slides also has a laser pointer feature to help highlight some important details in a certain slide. Please watch the 2 minute 11 second video below followed by some screenshots underneath. 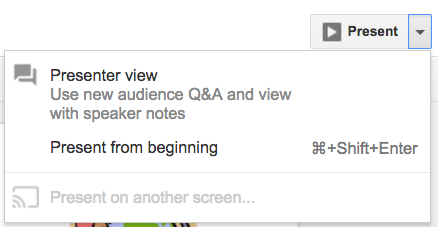 Make sure to select the triangle next to Present to bring up the Presenter View. This is what the screen will look like (just the presenter will see this). 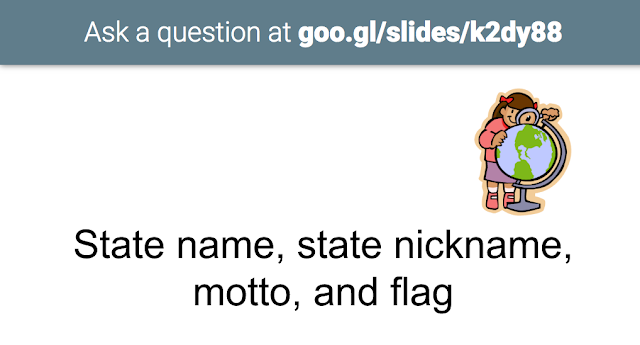 This is an example of what the audience will see - gives them a chance to ask questions. On the bottom left of your screen will be the Presenter View rectangle. There you will see the button to select the red laser off and on. As always - ask away!